Cedar garden rooms can also help you to make better use of your outdoor space. Simply add a fire pit to your garden and you have the ideal year-round entertainment space to impress your guests. Why Choose A Cedar Garden Room For Your Entertainment Area? When extending your home by adding an extra room, it’s important to ensure the extra space will be versatile and suitable for year-round use. With a cedar garden room, you can be assured that it will be built and finished with the finest weatherproof materials. What Are Cedar Garden Rooms Made From? 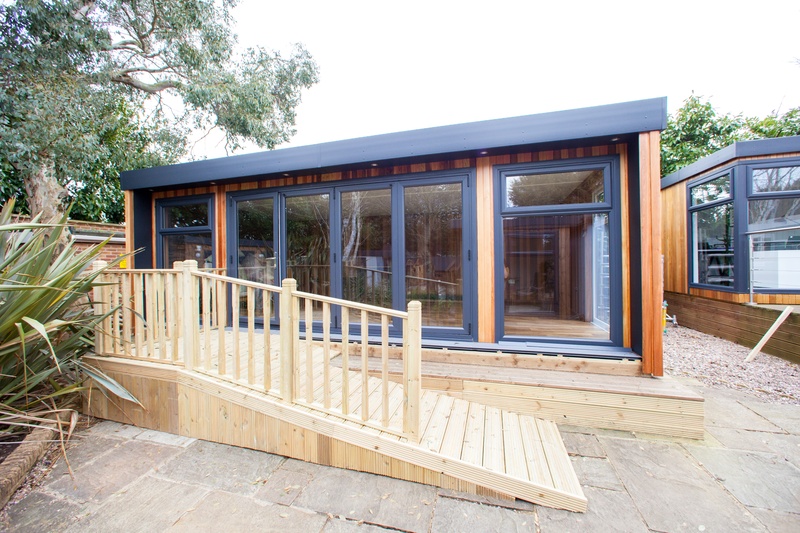 Our cedar garden rooms are made from the highest quality FSC Western Red Cedar or slow-grown PEFC/FSC Scandinavian Redwood. They are also fully insulated with Kingspan thermal insulation boards. This means that they not only look great in your garden, but they are also highly durable. 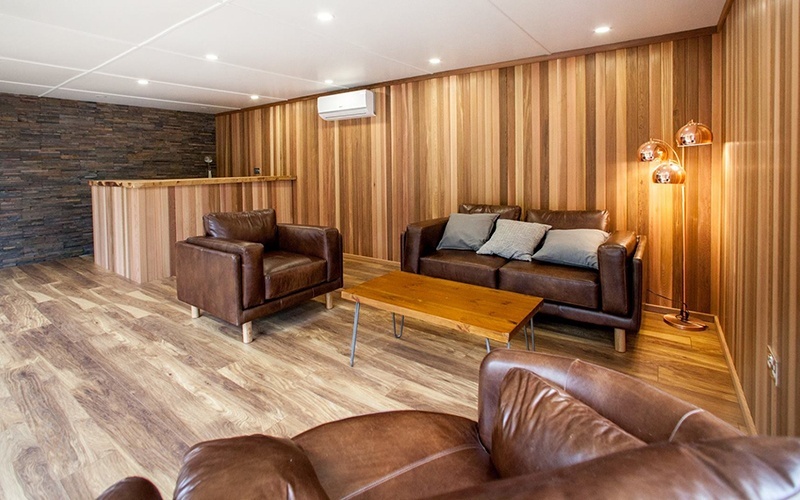 From the redwood exterior cladding to the BBA certified breathable membrane, all of this is designed to ensure your garden room stays cool in summer and warm and dry in the winter. 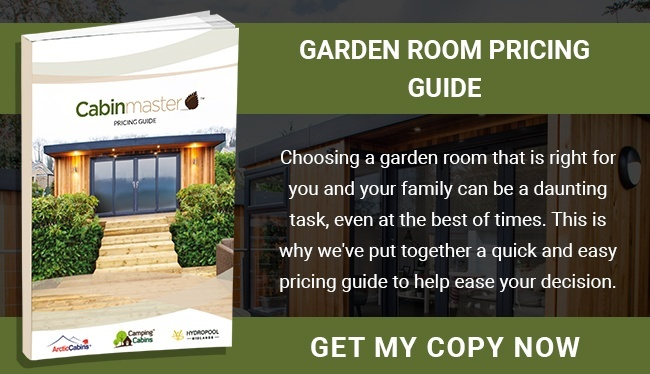 I Have An Unusual Size Garden, Can I Still Build My Dream Cedar Garden Room? Absolutely! 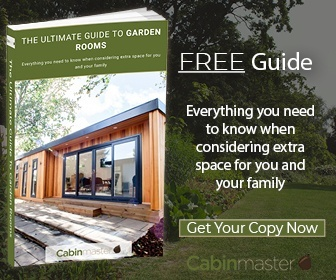 All of our cedar garden rooms are designed to fit your unique space. After you submit your query, we’ll be in touch to establish the size and style of building you are looking for. We’ll create a CAD drawing so you can decide if you are happy with the result. This drawing is then sent to our UK factory where your garden cabin will be built. Once completed, our cabin fitters will deliver the components to your home and install your new cedar garden room. How Long Have You Been Making Garden Buildings? We have been manufacturing and installing right here in the UK for over 20 years. During that time we have built and installed tens of thousands of buildings in a countless variety of styles. We manufacture in the UK because it is the only way we have found to get good quality control over the product that we send out. If you’re ready to start building your ideal entertainment space, get in touch today!